Would anyone be interested in buying my CB500? I'm very regretfully having to sell my CB500. I also have a Firestorm and can't keep both, and just can't bring myself to sell the Firestorm. It's a black 1997 model. It has just over 71,000 miles on but has been serviced and maintained fastidiously. I have very detailed service records going back to when I bought it in 2014 with 13,000 miles on it. It has a scuff on the left engine casing and a scuffed left bar-end weight from when I low-sided it two years ago. There was fortunately no other damage. Otherwise I'd give it 7/10 cosmetically for its age. It has a Fuel stainless steel silencer. It's just had a new battery and recently had a new Delkevic radiator, with all coolant hoses replaced with genuine Honda. At 68k miles the front and rear brake calipers were completely overhauled with new Honda seals and pistons. The forks were fully overhauled at 37k miles with all new Honda parts and Hagon springs. It has Hagon shock absorbers. The rear tyre needs replacing. It could do with a new chain and sprockets soon-ish as these have 20,000 miles on, but there aren't tight links yet and it has only needed adjusting once it that time, so it may well have further life in it. 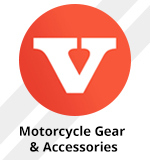 I also have a large selection of genuine Honda parts for it – see here (select the CB500 tab not the VTR1000 one!). I'll upload some photos when I have a mo. Re: Would anyone be interested in buying my CB500? It has the blue decals (as opposed to the pinky/majenta ones that some black models had). Pics and a rough price please?